We asked girls to paint their pinkies blue as a symbol of standing against bullying, and to share pictures of their blue pinkies on Facebook, Twitter and Instagram. This collective action made evident that they were not alone. We'd give the gang challenges, and they'd interpret and respond in ways that made them their own. The community grew and needed a home, so we created the Gang Up for Good website. 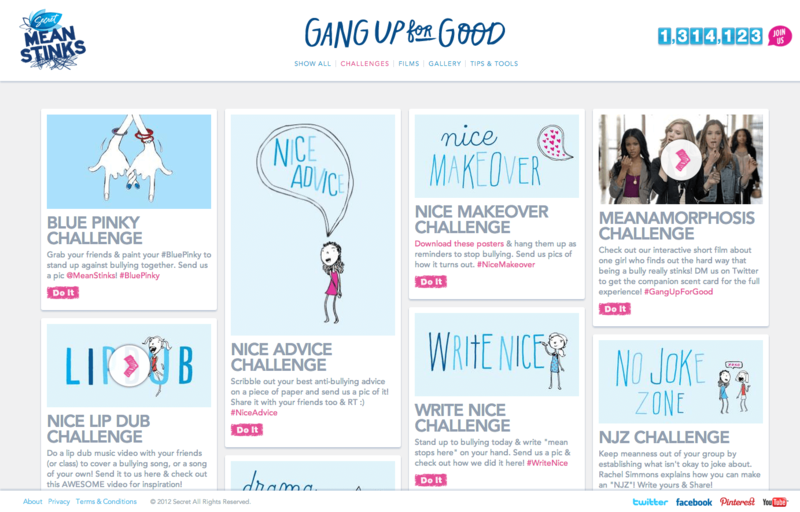 This site aggregated all of the girls’ powerfully positive content across social channels so they could see their collective might on their phone, tablet or laptop. Because Mean Stinks.